Brady is just a success story. As a freshman, he was an average runner with marks of 10:13 and 4:47 and didn't look to be where he is now. Through hard work, Brady transformed himself into one of the state's elite distance runners. To date he has earned several all-state honors and now has a personal best 9:06.13 which netted him 3rd place down in Charleston. 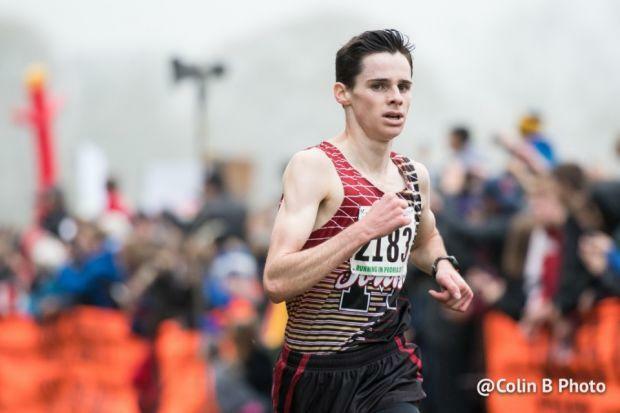 Heading into his senior year, Brady has only lost to Clayton Mendez, Dylan Jacobs, and Danny Kilrea, all three of them were All-Americans and now have graduated. Could that spell out something for Brady this year? Brady is the top returner from the state meet last fall and has made a great resume for him to be in state title contention this season. I'm hoping Brady will give us a show this year.